Fig. 2. (A) Medial tibial collapse of a 60-year-old female with a prior history of Oxford medial unicompartmental knee arthroplasty (7 years before the incident). 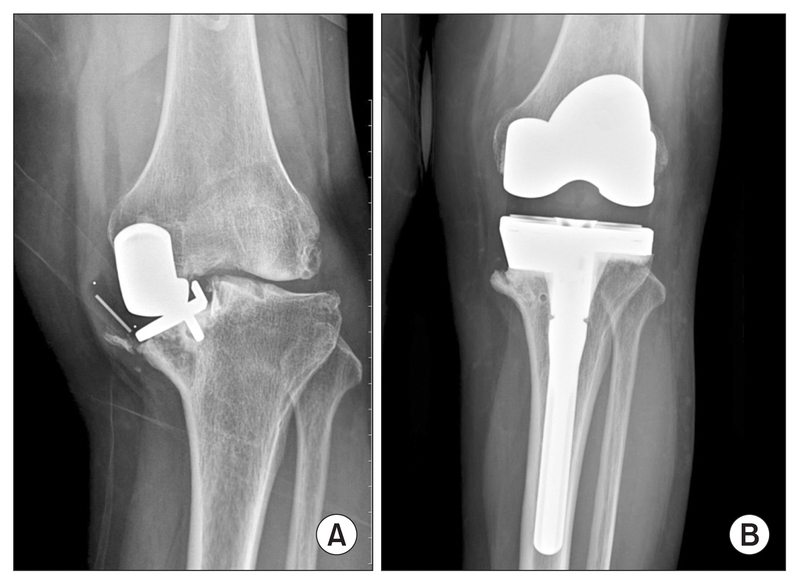 (B) Conversion to total knee arthroplasty was performed with a metal block and a long tibial stem.